Yesterday I was craving guacamole so bad. I love avocados but guacamole is like avocado to the tenth power. Guacamole is a side dish that is creamy, filling, and full of punch! 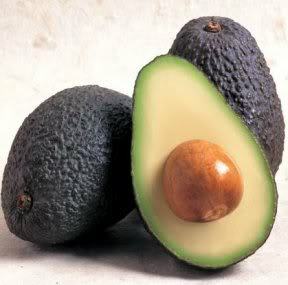 Avocados are not only flavorful but also good for you. Avocados are rich in nutritional value as they are packed with protein, antioxidents, fiber, monosaturated fats (good fat), vitamins and most of all – flavor! I have said it before and I will say it again, Daisy Martinez is one of my favorite Latin chef’s and I hope to meet her one day. I love her cooking style. Its bright, savory, and she makes any recipe her own. Today, I want to share this recipe for guacamole like you’ve never had before! But before you click to watch, find her Youtube Channel HERE and check out some more basic recipes guaranteed to wow your family or party guests. For more Sabroso Saturday recipes visit Latina On A Mission. Satisfy your craving in a healthy way! « Sandwich Night With The Deen Brothers and Sweepstakes!